The Law Office of Nichole Dusche put their vast knowledge of criminal prosecution to work for their clients. Attorney Nichole Dusche spent 12 years working in the justice system, and she shares her extensive work experience in the prosecutor's office with her clients. Her proficiency gives her an unparalleled base of knowledge and strategic vision that allows her to provide all of her clients with a thorough and vigorous defense. MoreThe Law Office of Nichole Dusche put their vast knowledge of criminal prosecution to work for their clients. Attorney Nichole Dusche spent 12 years working in the justice system, and she shares her extensive work experience in the prosecutor's office with her clients. Her proficiency gives her an unparalleled base of knowledge and strategic vision that allows her to provide all of her clients with a thorough and vigorous defense. Outside of the criminal law arena, Ms. Dusche provides small businesses with their transactional law needs. These needs include employment contract review and business formation. 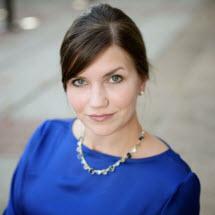 Ms. Dusche also represents families with preparation of wills, probate needs, and living wills." Having attended Vanderbilt University and then Nashville School of Law, Ms. Dusche is a criminal law defense attorney for all of Middle Tennessee. She uses her prior prosecutorial experience for the best interest of her criminally charged clients. The Law Office of Nichole Dusche provides free initial consultations and welcomes credit cards.